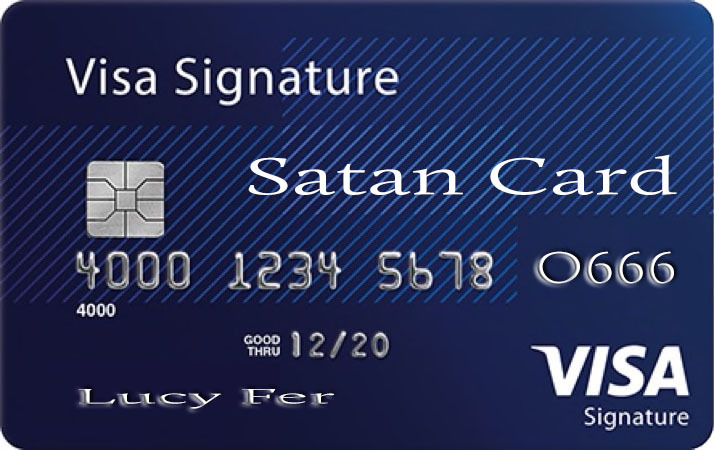 Credit cards and the devil. The two twins of the American economy. Debt is the devil. I have followed and tried to implement the teachings of financial guru Dave Ramsey. My wife and I were introduced to similar teachings around the time we got married, but back then it was Crown ministries. I’ll be honest. Some seasons have been better than others. Currently, we’re in a decent place. And the basic idea that flows from these teachings is debt is bad. “The borrower is servant to the lender.” (Proverbs 22:&)On one level, I agree. But if debt is bad, and I have debt, am I bad? Seems like a natural connection to me. Though I aspire to debt free living, when we needed an accessible wheelchair vehicle for our son, we simply did not have the cash on hand to purchase a vehicle. The “never ever ever buy using debt” people would argue that I should save for three years and purchase then. And in the meantime, how’s my son in a wheelchair supposed to get around? Ok, but how often are the exceptions ok? Much, if not most, of what the Bible has to say about the lender-debtor relationship is spoken not to the borrower but to the lender. To say it differently, the Bible is more concerned about those who give loans than those who receive them. The lender was commanded to give back the cloak of the one who borrowed. The lender is commanded to return the land after 7 years. The lender is commanded to return freedom to the servant. The lender is commanded to not take interest from the borrower. It was an understanding of the Jewish people that one of the reasons for the exile was that they never followed the rule of Jubilee, returning land and erasing debts. So for 70 years, the land rested and Jubilee was restored. Is the Bible full of warnings of the dangers of debt? Absolutely! Does the Bible teach living within your means? Yes! Does the Bible condemn taking out debt? Actually no. The Bible assumes that there will be times that people will need access to creditors. In one parable, the King has 2 servants, one owes a lot, one owes a little. He forgives both. The king has a servant who owes a lot. That servant has someone who owes him a little. The servant is forgiven much but refuses to forgive little. In another parable, Jesus commends a shrewd servant for using the limited scope of authority he has to reduce the debts of others to secure a place for himself in the future. Again, the metaphor is not biased against debtors. In none of Jesus stories is the debtor the bad guy, or even the fool. What’s the point of this rant Charles? I go back to my earlier statement. We have a culture that abuses debt. Instant gratification is the norm of the day. Delayed gratification. That’s the narrative. And that is a true narrative that drives the unwise debt of millions of people. But there is another narrative, one less popular. Debt is sometimes the result of situations. Like in Bible times, debt happened through job loss or medical needs or family emergency. All of these are situations that can take very financially wise people and send them into debt. Having debt doesn’t bring condemnation on you. Having debt doesn’t ascribe moral inferiority on your character. Debt is something that we as humans have to struggle with. And we want to clear that debt. We want to live debt free, and have money in savings. We want to live wise. But lets get off our moral high horses when it comes to debt. Learn from Dave Ramsey. Learn from the training programs. Stop buying stupid stuff and financing everything. Don’t go into crazy debt over that new shiny thing. At the same time, give as much grace as you can to people struggling with debt. Forgive debts that you can. Loan money to others that you can afford to loan. Make solid agreements about terms of repayment. Do all that. Well, said. I have taught Crown, Ramsey and even written my own version, so if the Pastor or seminar coordinator wants to focus in particular areas, we can do that. As you said, it is pretty simple, understand your debt, understand the effect debt will have on you, make good decisions and if you are the lender be kind and filled with grace. Helping people understand finances has been my ‘ministry’ for over 20 years and I am blessed every time the opportunity arises.